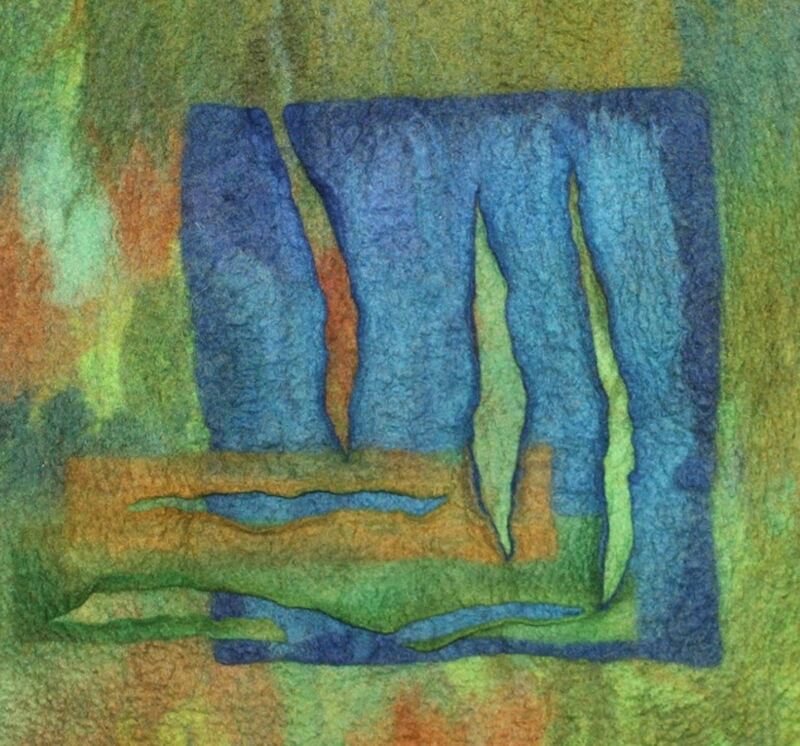 There are many textures that can be made as you make felt. We will investigate the use of resists, prefelts, and covering prefelts with silks. The pieces of felt can be incorporated into a purse, garment or neck scarf.